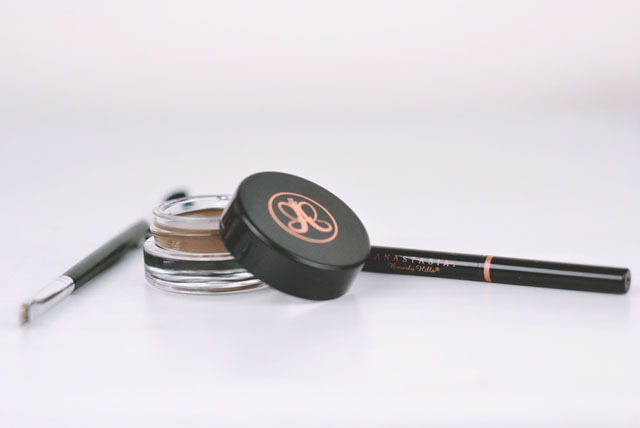 As soon as I started devoting more time to my eyebrow maintenance, I began thinking about brow products. Of course every beauty blogger raves about Anastasia Beverly Hills so I popped a couple of bits on my Christmas list. I quickly found out that there is a good reason why these products are so popular! Rather than jumping in the deep end with Dip Brow, I decided to start with baby steps and experiment with my Brow Wiz pencil first. 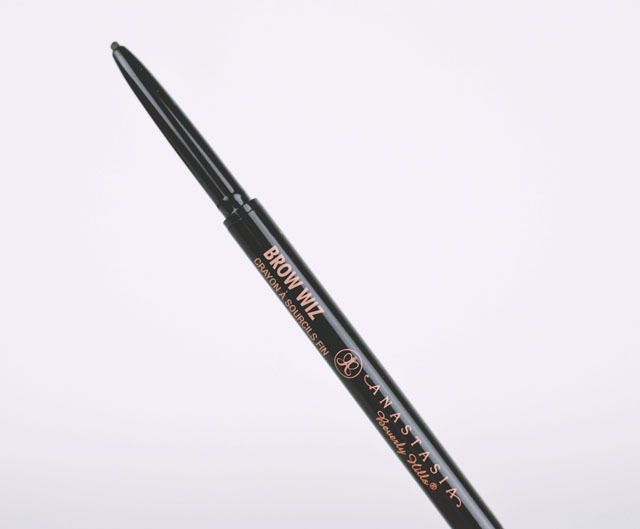 PACKAGING Brow Wiz is a pencil but comes in a thin plastic tube rather than the usual pencil casing. It's much longer than a standard pencil product too as it comes with a very handy feature- a built in spoolie at the end. The product itself is twisted up to reveal a very thin "lead" within. As the packaging is so compact, it fits easily inside my make up bag and takes up hardly any space at all. APPLICATION I'll be completely honest here- I had no idea how to actually apply an eyebrow pencil. What did we do without YouTube? A couple of tutorials later and I was all set! Since the lead is has such a small diameter, it's very precise and versatile so I can use it for creating sharp, defined lines and filling in with a more subtle appearance. The product is also fairly soft so I only need to use a very light stroke to create a natural look. If I do get a little carried away, the spoolie blends the colour nicely and gives a lot more control over the final look. RESULTS After a lot of research on different shades, I settled on Dark Brown and this was just about perfect! When my brows have been filled in, they look natural but also really fierce, perfectly framing my face. I don't feel complete without them now! 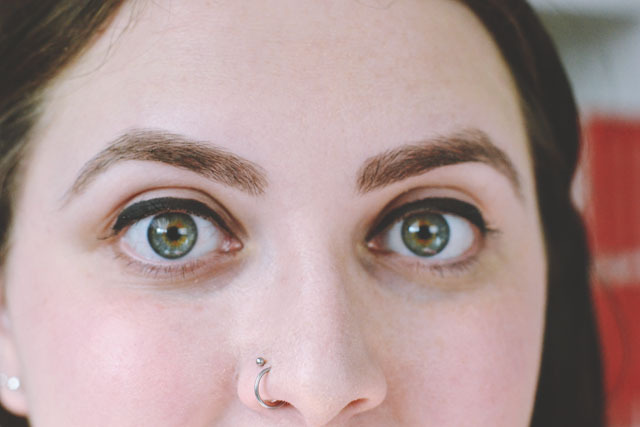 I'm very new to doing anything to my eyebrows (I know, bad blogger hehe!) so am currently looking for the right products to use for me. This definitely looks like something I need to try and sounds pretty easy to use, which is always good for me! I look forward to hearing about the second product when you review it!